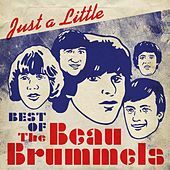 Some music enthusiasts believe that the Beau Brummels were not only the first electric folk band (predating the Byrds), but that they were possibly the first American response to the British Invasion. By fusing Merseybeat-inspired backbeat rhythms with folkie guitars and vocal harmonies, the Beau Brummels created a sound that was simply Anglophile. Their song melodies often leaned toward melancholic moods that fit perfectly even above the band's more upbeat numbers. 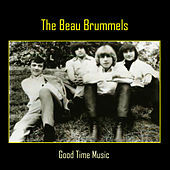 In 1968 the Beau Brummels experimented with electric country music with Bradley's Barn, a Nashville-recorded album that predated similar efforts by both Poco and the Eagles. Today the band regroups for an occasional reunion or Alec Paolo party. Their folk still rocks, and their harmonies still ring true to the band's original chemistry.